"Hines Little Smiles are great with Little Ones. My 3 year old was a little apprehensive but warmed up quickly to the staff!' -Charleigh C.
Baby teeth don’t just make a child’s smile cute and friendly, they’re an important part of a child’s overall health, and can even affect the health and hygiene habits of adolescence and adulthood. Knowing how and when baby teeth come in and how to properly monitor and care for them is vital to maintaining good health, and keeping our dentists at Hines Little Smiles involved in oral development can minimize problems and help facilitate good hygiene. On average, a child’s first teeth will start to arrive around the age of six months, though they can come sooner or several months later, depending on the child. The bottom front teeth (central incisors) usually show first, with their counterparts on top showing a month or two later. Usually the lateral incisors come next at around 10-12 months, first on the bottom and then on the top. The first molars erupt next around 12-16 months, followed by the canines inside the molars. The second molars usually appear last, and the full set of baby teeth should be in place between the child’s second and third birthdays. It’s important to keep in mind that these are average times and tooth orders. Every child is different, and it’s important to bring toddlers to their dentists at Hines Little Smiles regularly to make sure that however their teeth come in, there are no dental problems that could develop into something serious later. Why Is Proper Care Of Baby Teeth Important? Baby teeth are only temporary, falling out to be replaced by permanent teeth between the ages of 6 and 12 years. Nevertheless, proper care and hygiene is extremely important even for baby teeth. Proper oral hygiene habits should be developed as early as possible in a child’s life, so that when the permanent teeth do come in the child is prepared to care for them so they can last their whole life. If baby teeth are damaged by tooth decay or gum disease that can damage the permanent teeth developing underneath them. Additionally, the gums and bones of the jaw develop and grow based on the baby teeth, so out of place or damaged baby teeth affect the health and placement of adult teeth. 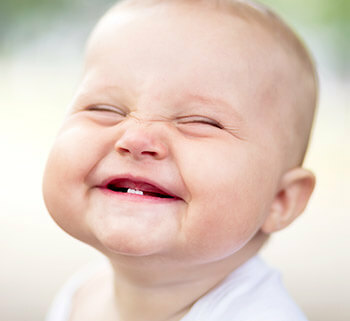 Finally, problems with the baby teeth can seriously harm a child’s eating habits and their ability to learn how to eat. Upper Teeth When should it emerge? When should it fall out? Since baby teeth just fall out, why is it important to take care of them? Baby teeth play a very important role in your child’s growth and development. Reserve space and make room for permanent teeth. Help the facial structure grow and give child its normal appearance. Missing teeth make it difficult for a child to chew and accept non-baby food. 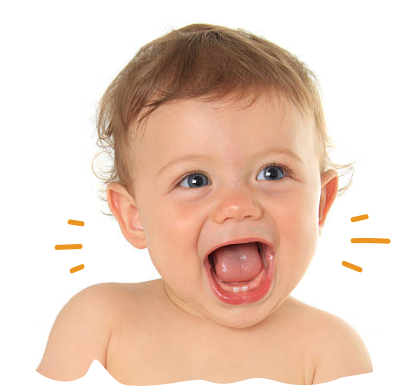 Baby teeth play an important role in your child’s growth and development. Bring your little one to see Dr. Hines by the time his first tooth comes in, and no later than his first birthday. At Hines Little Smiles, we’re committed to not just keeping your children’s teeth clean and sparkling, but to keep them healthy and developing as they should. For all your children’s dental needs in the Columbus area, contact Hines Little Smiles today and let us help guide your children though their developmental years so they can have healthy smiles their whole lives.